One of the first things we had to do for this course is create profiles for Facebook, Twitter, and Diigo. This was not an issue for me, as I have already had personal accounts for Facebook and Twitter, and had to create a Diigo profile from a previous EdTech course. The only platform I do not use unless I have to is Diigo. I just have never been a big fan of it. Although that could be because I have not spent very much time trying to seek all the benefits of it. Currently, I have a Facebook group for my Leadership class that I use on a weekly basis. This is great because Facebook is one of the few platforms to have a closed group (unlike Twitter). I am also in charge of the twitter feed of our high school baseball team. In this course, I hope to enhance my use of Twitter in my teaching. I think it is a tool that 90% or more of my students have, and I need to utilize it more. 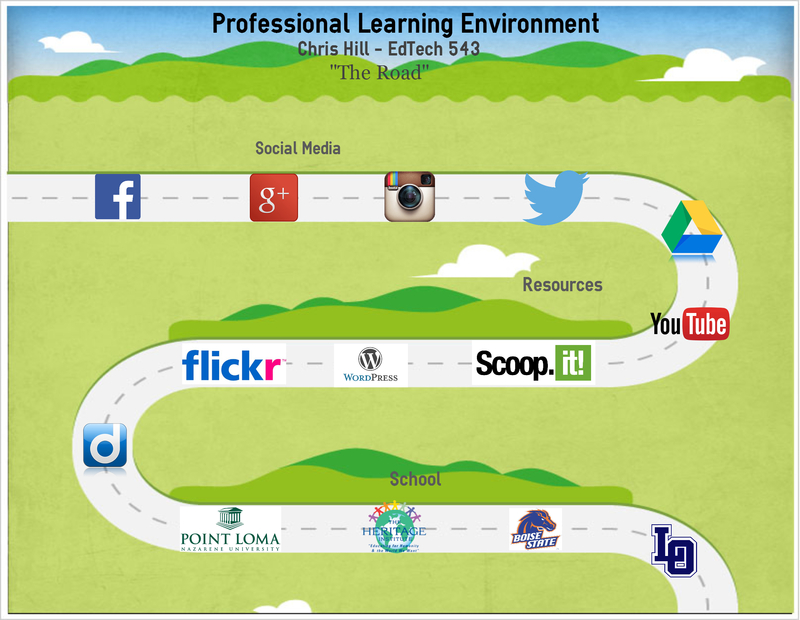 This course has taught me a lot about technology integration in the classroom. It has opened my eyes to the relative advantage of choosing to integrate various technologies into your teaching while making sure they are accessible for all students. Through having to use the resources that were recommended and resources that I discovered, I now have a great list of tools I will be able to immediately use and share. Throughout EdTech 541, we created projects that centered around Design, Development, and Utilization. Below, you will find each project I completed throughout the course, and the corresponding AECT Standard. The projects that we created not only met these standards, but they allowed us to create lessons, presentations, and projects that will empower our students to be evolving digital citizens. Even though my focus was mainly on high school business students, this course helped me to think as an educational technologist on how to create an effective classroom environment that incorporates technology utilization in the classroom. This course aligned with the EdTech Mission Statement and the College of Education’s Conceptual Framework. This course has helped me think outside the box by thinking more as an an educational technologist and less as a business/leadership teacher. I was able to come up with many useful lessons, presentations, and projects that integrate technology for my business class, while simultaneously making me look at things through a broader lens. This course has really solidified my belief that students and teachers alike learn best through doing. With technology, the best way to develop mastery is to actually use the tools rather than hear about them or see them being used. In the projects I created for my students, I centered them around using the technology tools to enhance their learning. Content (60/70)- In everything I posted, I tried to have some type of real-world connection. However, I could have been more detailed in these posts. Readings and Resources (18/20) – I supported my blog comments with readings, but most of them were not from the textbook that was required of us. Timeliness (10/20) – This is the one I struggled with the most. I completed all of the postings except one, but a lot of them were done Monday afternoon instead of early on in the week where other students could have commented on them. Responses to Other Students (28/30) – I responded to other students quite often, but the content could have been more rich.